So Moses went out and told the people the words of the Lord. And he gathered seventy men of the elders of the people and placed them around the tent. Then the Lord came down in the cloud and spoke to him, and took some of the Spirit that was on him and put it on the seventy elders. And as soon as the Spirit rested on them, they prophesied. But they did not continue doing it. Now two men remained in the camp, one named Eldad, and the other named Medad, and the Spirit rested on them. They were among those registered, but they had not gone out to the tent, and so they prophesied in the camp. And a young man ran and told Moses, “Eldad and Medad are prophesying in the camp.” And Joshua the son of Nun, the assistant of Moses from his youth, said, “My lord Moses, stop them.” But Moses said to him, “Are you jealous for my sake? Would that all the Lord's people were prophets, that the Lord would put his Spirit on them!” And Moses and the elders of Israel returned to the camp. When it was evening on that day, the first day of the week, and the doors of the house where the disciples had met were locked for fear of the Jews, Jesus came and stood among them and said, "Peace be with you." After he said this, he showed them his hands and his side. Then the disciples rejoiced when they saw the Lord. Jesus said to them again, "Peace be with you. As the Father has sent me, so I send you." When he had said this, he breathed on them and said to them, "Receive the Holy Spirit. If you forgive the sins of any, they are forgiven them; if you retain the sins of any, they are retained." "Pentecost Can Be Summed Up In One Word..."
I think it’s generally true that people are always looking to improve, to change their lives for the better. That’s why there are so many commercials for diet and exercise products – lots of people out there trying to change their appearance for the better. I just saw recently how you can have something called Botox injected into your face, and that will take away your wrinkles for awhile. People are always looking to improve, to change for the better. Isn’t that why people go to school? Isn’t that why people go to conferences and seminars? Isn’t that why people go to counselors and psychologists? People want to be changed for the better. What is it about yourself that you would like to change? If you could change one thing about yourself, what would it be? Is it the way you look? Something to do with your health? Something to do with your level of expertise on a certain subject? If you could change one thing about yourself, what would it be? God is interested in change. He’s interested in changing you. Today is Pentecost Sunday, and as we take a look at what happened on Pentecost many years ago, we see that God changed many people’s lives. And as we learn about these things, we will see that God is also interested in changing you - there are certain things about you that God wants to change. What are those things? And how does God plan to do that? We will find the answers as we study God’s Word. Two major changes took place on Pentecost. Change number one was what happened to the disciples. If you are familiar with the Scriptures, you know that the disciples believed in Jesus as their Savior, but they were still very confused about all kinds of different things. They still didn’t fully understand Jesus’ mission, why he had come to earth. They were still wondering if Jesus would be an earthly king. They were confused, and as a result, they were timid. They weren’t confident about sharing the Gospel with others. How could they be, if they didn’t fully understand it? But then Pentecost came. The disciples were together, when the sound of a blowing wind came down from heaven. What seemed to be tongues of fire settled on their heads. They were all filled with the Holy Spirit, and began to speak in foreign languages they had never learned before. A crowd gathered, people from all over the world, and that crowd listened as the disciples preached the Gospel. The Apostle Peter stood up and addressed the crowd – he gave a beautiful sermon that God the Holy Spirit inspired him to preach, a sermon that converted 3000 people in one day. 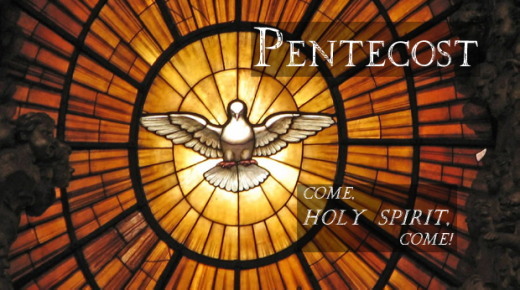 Do you see the changes that took place on Pentecost? No longer were the disciples confused. Now they understood the plan of salvation completely. No longer were they timid. Now, they were confident, speaking publicly. Look at Peter – two months earlier he was so afraid that he denied Jesus three times. Now he was speaking to the crowd with confidence and understanding that he had never had before. There was another change that took place on Pentecost, and you could argue that this change was more spectacular than what happened to the disciples. After Peter preached his sermon on Pentecost, 3000 people came to faith and were baptized. We don’t know much about these people. We do know that Jerusalem was packed with people, because of the Festival of Pentecost. Back then, Pentecost was an agricultural festival – God had told the Jews to gather in Jerusalem 50 days after Passover to celebrate the harvest. Jews from all over the Roman empire came. 3000 of them who were not Christians, who did not believe in Jesus Christ, were changed that day. Their whole way of looking at God, at themselves, at the world, at eternal life – everything had changed. The Holy Spirit was the one who converted those 3000 people that day. Now these people knew how to get to heaven. Now they knew that they were at peace with God. Now they knew that Jesus was their Savior. 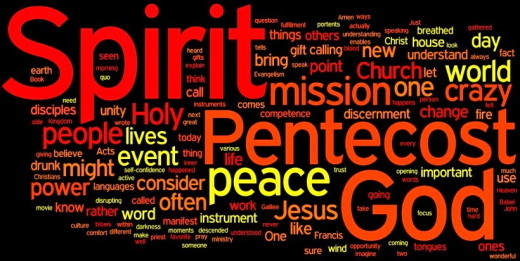 Pentecost can be summed up in one word, and I believe that word is change. We see the change that took place in the disciples, and the change that took place in those 3000 people. Our world today needs change. There are so many people who do not believe in Jesus Christ, who do not know how to get to heaven. And there are so many Christians who are like those disciples were before Pentecost – confused, weak, timid. We need the Holy Spirit to come to us, and change us. Our problem is, we don’t think we need to be changed. “I’m alright the way I am,” we say to ourselves. 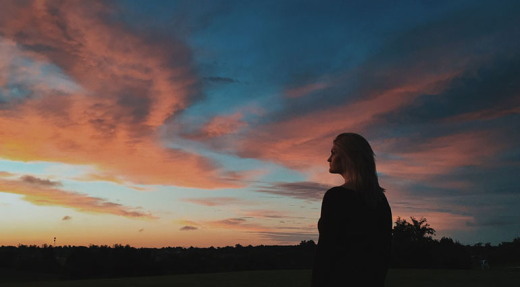 “What do I need to change about myself?” The answer is, a lot. Yes, it’s true, we are Christians, but we still have sinful habits that we don’t want to get rid of. We still have moments when we are selfish. We still have moments when we completely misunderstand what God is telling us in the Bible. We still have moments when we fail to share our faith because we’re too timid. It is true that we are Christians, that we are going to heaven, but we still need to change. We still need to become more and more the people that God wants us to be. How does a person change his soul? You can’t do it by trying to be a better person. That’s like saying that there is something wrong with my car, but I’ll try to change that by being a better driver. You need someone to work on your engine, your soul. But the thing is, your soul is too complicated for you to fix yourself. You need someone to fix it for you. And that someone is the Holy Spirit. But how? On Pentecost, the Holy Spirit came directly to those disciples. Today, he could do that if he wanted to, but in the Bible, he tells us that he works in a different way. He no longer comes with the loud sound of a wind, or with what looks like tongues of fire, or with the ability to speak in foreign languages. That was a one-time event. Today, the Holy Spirit comes to you through the quiet, humble preaching of the Word. On the surface, it doesn’t look like anything spectacular. But on the inside of you, all kinds of changes are taking place. And when we combine the Word with water, we get baptism. What happens at a baptism? Once again, on the surface, it doesn’t look like anything spectacular. But we know from what God tells us in his Word that in baptism, the Holy Spirit changes a person, causes a person, even a little person, to believe in Christ. And what happens when we combine God’s Word with bread and wine, as Jesus did on the night he was betrayed? Once again, it doesn’t look like anything spectacular, but it is. Because as we partake of Christ’s actual body and blood in this Sacrament, the Holy Spirit changes you. He strengthens your faith, he increases your love for Christ and your love for one another. Do you want to be more confident? Do you want to be more at peace with God and yourself? Do you want to be less confused about the Bible? Do you want to understand it better? Do you want to be able to share your faith more naturally, more confidently? Do you want to be able to live the way God tells you to live in the Bible? Do you want to change your soul for the better? This is what the Holy Spirit does. He did that in a miraculous, unusual way on that first Pentecost. Today, he does it as you spend time hearing the Word, as you see a baptism, as you take the Lord’s Supper – that’s how the Holy Spirit changes people, changes you, turning you more and more into the Christian that God has made you to be. New Revised Standard Version Bible, copyright 1989, Division of Christian Education of the National Council of the Churches of Christ in the United States of America. Used by permission. All rights reserved. The New Revised Standard Version Bible may be quoted and/or reprinted up to and inclusive of five hundred (500) verses without express written permission of the publisher, provided the verses quoted do not amount to a complete book of the Bible or account for fifty percent (50%) of the total work in which they are quoted. Sermon shared by Don Schultz on May 16, 2002. 1 Chronicles 29:11 (NIV) Yours, Lord, is the greatness and the power and the glory and the majesty and the splendor, for everything in heaven and earth is yours. Yours, Lord, is the kingdom; you are exalted as head over all. Alégrate, joven, en tu juventud; deja que tu corazón disfrute de la adolescencia. El matrimonio a temprana edad no es recomendable. Hoy en día, es muy común escuchar de alguien que se casó entre dieciocho a veinte años de edad. No generalizo, pues a muchos les va bien. Sin embargo, hay otros que no están seguros de lo que quieren y se casan por huir de sus padres o por meter la patita. Entonces, se aburren del matrimonio, se alejan de la iglesia y desean otras experiencias para vivir lo que no disfrutaron por casarse tan temprano. Joven, no te cases por imitación y disfruta tu juventud. La vida de matrimonio no es fácil y menos con hijos. Vive y date el tiempo para casarte con la persona adecuada y en el tiempo prefecto de Dios. Padres, no patrocinen eso de que Dios me habló para que esa persona fuera el cónyuge de mi hija. No apoyes uniones solo porque creas que Dios le habló a alguien. Si Dios lo hizo, que sea Él mismo dando el tiempo para realizarlo. Abuelos, nunca dejen de aconsejar a los nietos. Las canas tienen experiencia y sabiduría. Yo le agradezco a mi madre que siempre ha tenido el carácter y el amor para aconsejar a sus nietas. Por último, pastores y líderes, no auspicien el hecho de que del primer noviazgo de nuestros adolescentes tengan que salir los cónyuges. Ese es un grave error y es muy común en nuestras iglesias. Es preferible que conozcan más gente y no que se cometan errores que a veces son irreparables. 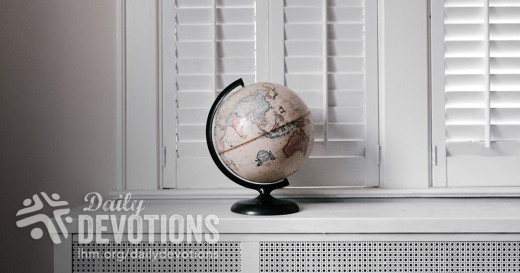 Our Open Doors colleague, Ron Boyd-MacMillan, shares the following insight from his teaching, “Why I Need to Encounter the Persecuted Church.” Wouldn’t it be wonderful to have an idea of what God is really up to in this world? One thing we can be very sure of—that the story of the world as we find it in history books and newspapers, is not to be confused with the real story of what God is doing underneath. But what is God’s story as opposed to history? What’s he really up to? Must the daily diet of wars, murder and mayhem in my newspaper always get me down. Can I ever be sure something is going on underneath? Well, we can’t know perfectly as “his ways are so much higher than our ways” (Isaiah 55:9). But we are afforded glimpses. This glimpsing really excited the early Christians. You can hear the delight in Paul when he writes, “God’s secret plan has now been revealed to us...” (Ephesians 1:9). The persecuted seem to get more glimpses than most. I think of China. The headlines said in June of 1989 a terrible massacre took place. Five thousand young people were mown down by the Chinese army. The headlines all mourned the death of the pro-democracy movement. It was terrible, but what was God up to underneath? Out of that massacre came a remarkable turning to Christ among China’s students for the first time in history! The headlines never saw it. It’s not part of history. But “His story” went on. I think of Afghanistan. When the Soviet Union invaded that country in 1980 the world was outraged. The headlines were all full of fierce denunciations of the action, and rightly so. But I remember meeting a missionary from Kabul who said, “Yes, what the Russians did was wrong, but the fact is it is now much easier under the Russians for Christians to evangelize than it was before under the Islamic regime.” Again, another more significant story, of God building his kingdom, was going on undetected by the world at large. I think of Sudan. The headlines in the 1980’s were full of a dreadful civil war which isolated the Danka people from the outside world. It was terrible. There was untold suffering on vast scale. But underneath, God was bringing the 2 million Dinks to himself. By 1993, 80% of them were Christians and this among a tribe that was historically very resistant to the gospel. Notice that these are all stories from the persecuted. They seem to be better placed to notice the real story. And so I need to keep in touch with them because this glimpse delivers me from despair. In 1989 in China, there was not just a massacre, but a revival. In 1980 in Afghanistan, there was not just an occupation, but new missionary opportunities. In Sudan, there was not just a brutal war that killed millions, but a new kingdom of believers among an unreached people. So every day when I open my newspaper, I remind myself of two things, thanks to the persecuted: the story I see is not to be confused with the kingdom story; and underneath even the saddest news, God is surely up to something good. There is hope because God is always at work. RESPONSE: Today when I read or hear the news, I will thank God that He is at work behind the scenes. 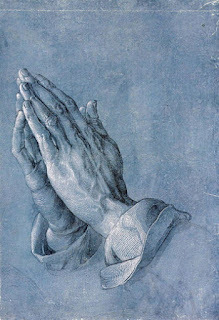 PRAYER: Thank You Lord, for Your promise to bring good out of the terrible events of this world. LHM Daily Devotion - June 4, 2017 "The Growing Seed"
Matthew 13:32 - (Jesus said) "It is the smallest of all seeds, but when it has grown it is larger than all the garden plants and becomes a tree, so that the birds of the air come and make nests in its branches." Lutherans all over the world are celebrating the Reformation's 500th anniversary. That's 500 years of hard work because the message of the cross is foolishness to the wisdom of the wise and to the understanding of the prudent (see 1 Corinthians 1:18-19). 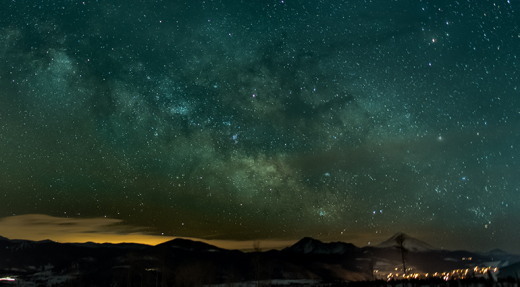 An atheist professor of physics denied all sorts of divine power working in nature. He maintained that physics is the basis of everything moving in this world. Pastor Jonathan, a LHM-Madagascar volunteer, explained to the professor that he's very wrong. He said, "Look, professor, can you calculate the physical force that supports the planet earth hanging in the emptiness of space? How did this happen? Science cannot create; it can only report on what has already been created." One day the professor came to meet the pastor and said, "I now know that science has a limit and cannot explain everything. I understand that only God's hands can maintain our world in order. I was wrong." From that day, Pastor Jonathan taught him the truths of the Bible. His teaching was based on Psalms 8 and 146. Thanks to God's saving grace, the professor was converted, baptized, and became a Christian. Before he passed away, he asked Jonathan to give him the Lord's Supper. Nobody is a Christian from the womb of his or her mother. It is only by the Holy Spirit's work that the seed of faith is placed in a person's heart and grows. Thus, the Gospel of our Lord Jesus is the very mustard seed that when it is grown it is greater than the herbs and becomes a tree. Jesus' Gospel was introduced for the first time in the southwestern region of Madagascar on September 7, 1874. Ten years of hard work showed the conversion of only four people. But the Gospel is a very tiny seed in the beginning, but it grows in the hearts of those who are being saved; thus it is the power of God. Today, there are more than 150, 000 Christians in the above mentioned region and almost four million Lutherans all over Madagascar. It is not unusual to see thousands of people come early to our large churches. There, hours before the service, those thousands raise their voices in praise to the crucified and ever-living Savior. These, my friends, are ones who became Christians because of God's saving grace. These are the birds that come and nest in the branches of Jesus' Gospel. They find peace for their souls, under the shadow of the Crucified One's amazing grace. Today, I and many others give thanks for LHM-Madagascar's holy mission dedicated to bringing Jesus to the people and bringing the people to the church. The number of students enrolled in Bible Correspondence Courses increases year after year. With God's Gospel, Lutheran Hour Ministries is throwing out a large net, and many "fish" are being caught. These 500 years of Gospel proclamation makes us Lutherans proud of the work of the Holy Spirit. Even so, we recognize that a lot of work is still standing in front of us. To do that work we ask the Lord to give us strength. THE PRAYER: Thank You, Lord Jesus, for Your amazing grace that Madagascar, our island at an end of the earth, has been reached by Your Holy Gospel. Empower LHM and be always with us, your workers, even to the end of the age. In Jesus' Name. Amen! Later, when the resurrected Jesus appeared to the frightened disciples after His death, He greeted them, saying, “Peace be with you!” (John 20:19). Now He could give them, and us, a new understanding of resting in what He has done for us. As we do, we can find the awareness of a confidence far deeper than our ever-changing feelings. Heavenly Father, You will keep in perfect peace those whose minds are fixed on You. Help us to trust in You forever, for You are our Rock eternal. Jesus came to usher peace into our lives and our world. O retorno de Jesus nos assegura de que nós também, pela fé nele, voltaremos quando ressuscitarmos (João 11:25,26). O túmulo vazio é o fundamento da nossa fé. Một người bạn chia sẻ với tôi rằng cô đã tìm kiếm sự bình an và thỏa lòng trong suốt nhiều năm. Vợ chồng cô có một sự nghiệp kinh doanh thành công, vì vậy cô có thể mua một căn nhà lớn, quần áo đẹp và trang sức đắt tiền. Nhưng những của cải tài sản này không làm thỏa mãn những khao khát bình an trong cô. Tình bạn của cô với những người có ảnh hưởng cũng vậy. Rồi một ngày, khi cô đang thấy buồn và tuyệt vọng, một người bạn đã nói với cô về tin lành của Chúa Jêsus. Cô đã tìm được Chúa Bình An và sự hiểu biết của cô về sự bình an thật và thỏa lòng thật đã đổi thay mãi mãi. Sau bữa ăn tối cuối cùng, Chúa Jêsus đã nói với các bạn hữu Ngài về sự bình an đó (Giăng 14), để chuẩn bị họ cho những sự kiện sắp đến: tức là sự chết, sự sống lại của Ngài và sự giáng lâm của Đức Thánh Linh. Khi mô tả một sự bình an không giống với bình an mà thế gian cho, Ngài muốn họ biết làm thế nào để tìm được sự bình an trong lúc khó khăn. Sau đó, khi Chúa Jêsus phục sinh hiện ra với các môn đồ đang sợ hãi sau sự chết của Ngài, Ngài chào họ rằng: “Bình an cho các con!” (Giăng 20:19). Giờ thì Ngài có thể ban cho họ và cho chúng ta một hiểu biết mới về những gì chúng ta có thể nhận nơi Ngài qua điều Ngài đã làm. Khi đó, chúng ta có thể nhận biết một niềm tin sắt son hơn những cảm xúc luôn thay đổi của mình. Lạy Cha Thiên Thượng, người nào để trí mình nương dựa nơi Ngài thì Ngài sẽ gìn giữ người ấy trong sự bình an trọn vẹn. Xin giúp chúng con tin cậy Ngài mãi mãi, vì Ngài là Vầng Đá muôn đời của chúng con. Chúa Jêsus đã đến để đem sự bình an vào cuộc đời và thế giới của chúng ta. La paz os dejo, mi paz os doy… (v. 27). Una amiga me dijo que, durante años, había buscado paz y felicidad. Junto a su esposo, estableció un negocio exitoso y pudo comprar una casa grande, ropa elegante y joyas costosas. Sin embargo, ni estas posesiones ni su amistad con personas influyentes pudieron satisfacer su anhelo de paz interior. Entonces, un día, cuando se sentía deprimida y desesperada, una amiga le contó la buena noticia de Jesús. Así descubrió al Príncipe de paz, y su comprensión de la paz verdadera cambió para siempre. Después de cenar por última vez con sus amigos (Juan 14), Jesús les habló de esta paz, al prepararlos para lo que pronto sucedería: su muerte, su resurrección y la venida del Espíritu Santo. Al describir una paz distinta a cualquier cosa que el mundo pueda dar, Él quería que descubrieran cómo encontrar una sensación de bienestar en medio de las dificultades. Más adelante, cuando el Jesús resucitado se les apareció a los aterrados discípulos, los saludó, diciendo: «Paz a vosotros» (Juan 20:19). Ahora podía ayudarlos (y ayudarnos) a entender cómo descansar en lo que Él hizo por nosotros. A medida que lo hacemos, descubrimos una seguridad mucho mayor que nuestros sentimientos tan cambiantes. Padre celestial, tú nos guardas en completa paz. Ayúdanos a confiar siempre en ti, nuestra Roca eterna. Jesús vino a traer paz a nuestras vidas y nuestro mundo. Eine Bekannte erzählte mir, sie habe jahrelang nach Frieden und Zufriedenheit gesucht. Mit ihrem Mann baute sie ein erfolgreiches Geschäft auf und konnte sich ein großes Haus, schöne Kleider und teuren Schmuck leisten. Aber ihre Sehnsucht nach Frieden ließ sich damit nicht stillen, genauso wenig wie durch die Freundschaften mit einflussreichen Menschen. Dann erzählte eine Freundin ihr an einem Tag, an dem sie besonders verzweifelt und down war, von Jesus Christus. In ihm fand sie den Friedefürsten und ihre Vorstellung von dem, was Friede und Zufriedenheit bringt, wurde von Grund auf verändert. Jesus sprach nach der letzten gemeinsamen Mahlzeit mit den Jüngern (Joh. 14) von diesem Frieden, als er sie auf das vorbereiten wollte, was demnächst passieren würde: sein Tod, die Auferstehung und das Kommen des Heiligen Geistes. Dieser Friede—der anders ist als alles, was die Welt geben kann—würde ihnen auch mitten in den größten Schwierigkeiten Ruhe geben. Als der auferstandene Jesus später den verängstigten Jüngern erschien, grüßte er sie mit den Worten: „Friede sei mit euch!“ (Joh. 20,19). Durch das, was er für sie-und uns-getan hat, hat das Wort nun eine neue, tiefere Bedeutung gewonnen. Wir dürfen in ihm Ruhe finden, und diese Ruhe ist verlässlicher als unsere wechselnden Gefühle. Himmlischer Vater, du bewahrst alle, die fest auf dich schauen, in vollkommenem Frieden. Hilf uns, dir zu vertrauen, denn du bist unser ewiger Fels. Jesus kam, um uns und der ganzen Welt Frieden zu bringen. Une amie m’a avoué avoir recherché la paix et le contentement pendant des années. Elle et son mari avaient bâti une entreprise prospère, ce qui leur avait permis de s’acheter une grande maison, de beaux vêtements et de précieux bijoux. Reste que ces biens matériels ne satisfaisaient pas son désir ardent de paix, pas plus que ses relations avec des gens influents ne l’avaient pu. Puis un jour qu’elle se sentait abattue et désespérée, une amie lui a annoncé la bonne nouvelle de Jésus. C’est alors qu’elle a découvert le Prince de la paix et que, du même coup, sa compréhension de la paix et du contentement véritables a changé pour toujours. Jésus a tenu à ses amis des propos empreints d’une grande paix après le dernier repas qu’ils ont partagé ensemble (JN 14), tout en les préparant aux événements qui n’allaient pas tarder à se produire : sa mort, sa résurrection et la venue du Saint‑Esprit. Il a alors décrit une paix – telle que le monde ne pouvait leur donner – qu’il souhaitait leur faire découvrir et qui leur procurerait le calme même au coeur de la tempête. Le Jésus ressuscité est ensuite apparu aux disciples affolés et leur a dit : « Je vous laisse la paix, je vous donne ma paix » (JN 20.19). Ils pouvaient maintenant mieux comprendre, et nous aussi, ce que signifie trouver le repos dans ce qu’il a accompli pour nous. Prenons donc conscience de l’assurance qu’il nous offre, et qui est bien supérieure à la confiance que peuvent nous procurer nos sentiments changeants. Jésus est venu apporter la paix dans notre vie et notre monde. Моя подруга розповіла мені, що протягом багатьох років шукала миру і спокою. Вона та її чоловік відкрили успішний бізнес, тож могли придбати великий будинок, купувати розкішний одяг і дорогі коштовності. Але ці матеріальні надбання – як і дружба з впливовими людьми – не давали їй бажаного миру в серці. Потім одного дня, коли вона почувалась дуже сумно – аж до відчаю, – її подруга поділилась із нею доброю новиною про Ісуса Христа. Так вона познайомилась з Князем миру, і її розуміння миру і вдоволення назавжди змінилось. Про такий мир Ісус казав Своїм учням після останньої вечері (Ів. 14), коли готував їх морально до близьких подій: Його смерті, воскресіння й приходу Святого Духа. Пояснюючи учням сутність Свого миру – не такого, що цей світ дає, – Ісус намагався навчити їх мати відчуття глибокого внутрішнього вдоволення навіть серед серйозних труднощів. Пізніше, коли воскреслий Ісус появився перед наляканими учнями, Він привітав їх словами: “Мир вам!” (Ів. 20:19). Тепер вони, як і ми сьогодні, могли отримати чітке розуміння, що значить знаходити спокій у тій справі, що Господь вчинив для нас. Якщо навчимося це робити, то пізнаємо глибоку впевненість і довіру, що сильніші за будь-які мінливі почуття. Небесний Отче, Ти зберігаєш в довершеному мирі розум тих, хто зосереджені на Тобі. Допоможи завжди довіряти Тобі, нашій вічній Скелі. Ісус прийшов, щоб мир був у нашому житті та в цілому світі. Подруга рассказала, как в течение четырех лет пыталась найти душевный покой и внутреннюю гармонию. Вместе с мужем они создали успешное предприятие, смогли купить большой дом, модную одежду и дорогие украшения. Но все приобретения не утолили ее внутреннего стремления к миру. Не смогли этого сделать и влиятельные друзья. А потом однажды, когда она чувствовала тоску и отчаяние, ей кто-то рассказал о Евангелии Иисуса Христа. В Нем она нашла Князя мира. Ее понимание настоящего покоя и гармонии навсегда изменилось. Иисус говорил слова мира Своим ученикам после последней совместной вечери (Ин. 14), когда готовил их к предстоящим событиям: Своей смерти, воскресению и пришествию Святого Духа. Описывая мир, который не может дать ничего на земле, он хотел, чтобы они научились обретать внутреннее равновесие даже среди трудностей и скорбей. Позже, когда воскресший Господь явился растерянным ученикам, Он приветствовал их словами: «Мир вам» (Ин. 20:19). Теперь Он мог даровать им и нам новое понимание мира через то, что Он сделал для нас. В Нем мы обретаем уверенность более прочную, чем наши переменчивые чувства. Небесный Отец, ты хранишь в совершенном мире тех, чьи сердца устремлены к Тебе. Помоги нам всегда полагаться на Тебя, вечную скалу. Иисус пришел, чтобы дать нам мир.